1. Combine the tomatoes, cucumber, onion and capsicums in a large bowl. 2. Sprinkle the black olives and cubed cheese. 3. 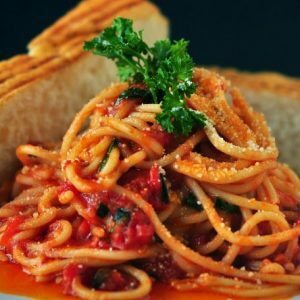 In a small bowl, whisk the olive oil and vinegar together. 4. Drizzle this over the salad and toss well. 5. Garnish with oregano leaves. 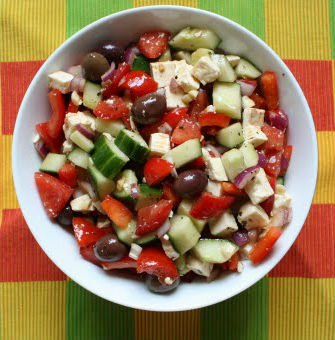 Feel free to comment or share your thoughts on this Greek Village Salad Recipe from Awesome Cuisine.